Teachers’ contracts will not be immune to Ford government changes if the premier gets his way. On Tuesday, Doug Ford took a strong stance on upcoming contract negotiations, suggesting he wants to change the current expiry date and cautioning educators against reacting with strike action. Speaking with reporters after an announcement in Markham, Ford called it “amazing” that all education sector collective bargaining agreements end on Aug. 31, just days before students return to classrooms. “I can tell you, that’s never going to happen again under our watch after we get through this,” Ford warned, without specifying a preferred end date for contracts. However, Education Minister Lisa Thompson stopped short of echoing the premier’s comments. She maintained that she wants to speed up the bargaining process and negotiate in good faith. 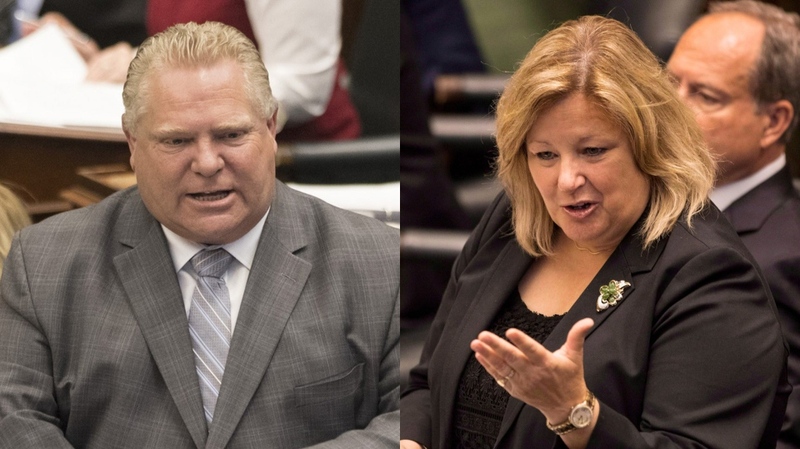 “I respect what the premier is saying, but again we are looking forward to having good faith conversations,” Thompson told reporters at Queen’s Park. Thompson said it’s too soon to even discuss an appropriate end date for education contracts because the renegotiation process hasn’t kicked off yet. While Thompson said bargaining could begin as early as April 29, an official notice has not been sent out to unions. While Ford’s beef is with union leaders and not teachers, he also warned educators against striking. The premier said a strike would inconvenience families and jeopardize students’ education. “Don’t pull this strike nonsense on parents and on the poor students,” Ford said. When asked whether she agreed with the premier’s comments about the labour talks, Thompson said she’s looking forward to having “good faith” conversations with unions. Ford has not ruled out back-to-work legislation, but said the government will do “everything in its power” to prevent a strike from happening.